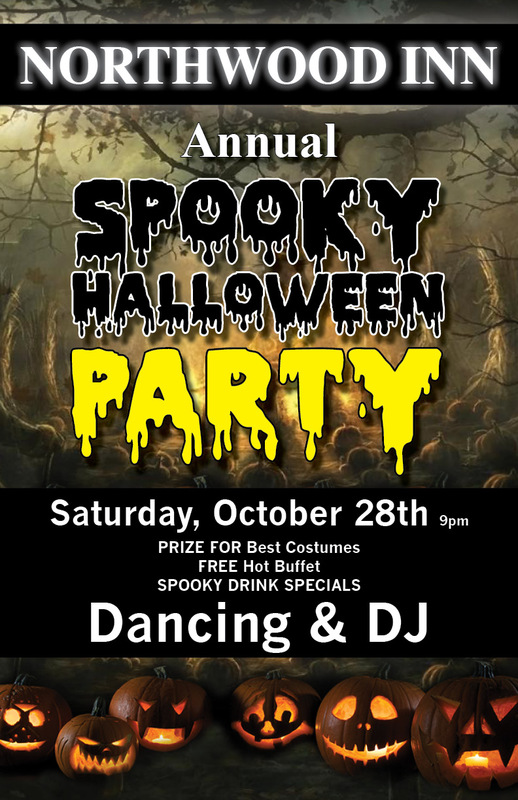 NORTHWOOD INN Annual Halloween Party! Join us for our annual Halloween Party! Free Buffet and lots of fun activities!